Well kinda…they both happened at Dodger Stadium, they both came with their team losing, they both came on a pitch the hero knew was going to be thrown, and they both resulted in wins! 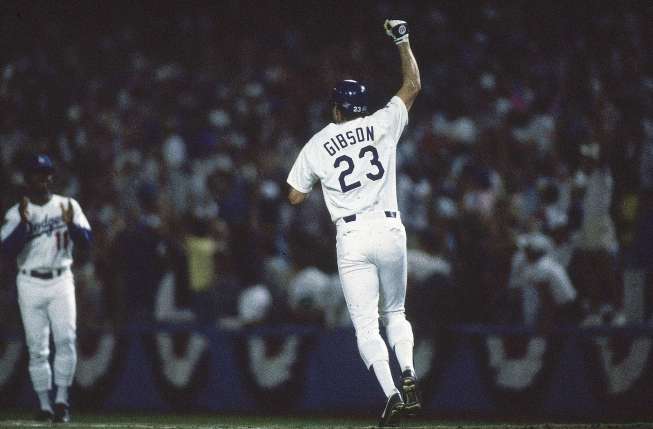 In 1988 version, Kirk Gibson of the Dodgers could barely put two steps together, and did not start Game 1 of the World Series. He stepped into the batters box in the bottom of the ninth with his team down to their last out, and hit what he called a 3-2 “back door slider” off of Dennis Eckersley (Athletics) for the game winning 2 run home run. The Dodgers not only won the game 5-4, but went on to win the World Series in 5 games. In the 2013 version, last weeks National League’s Player of the Week, showed just why he was awarded it. 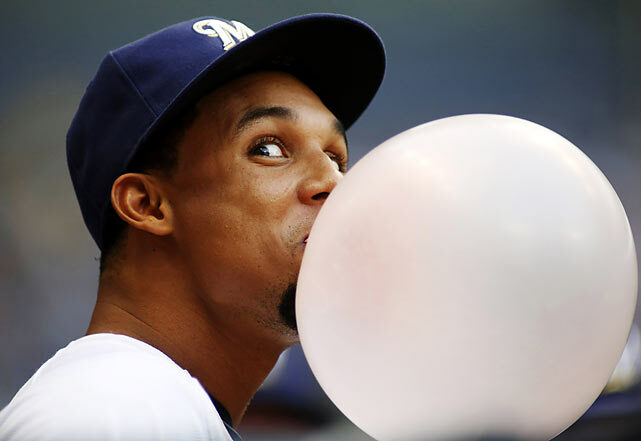 With two outs in the top of the 7th, Brewers Centerfielder Carlos Gomez stepped to the plate at Dodger Stadium, and hit what he called a “front door curve” for a home run which turned out to be the game winner. 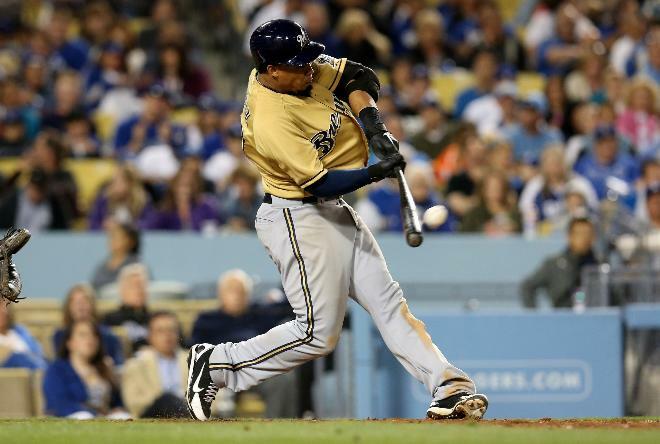 Brewers won 6-3 over the Dodgers, (Brewer catcher Martin Maldonado added a 2 run home run as well in the 8th). Gomez didn’t just do magic with his bat in this game, but also with his glove, making a shoe string catch on a sinking line drive in the bottom of the seventh to end the inning. Carlos is now batting .338, and quickly become a fan favorite with his positivity and his “flair” on the field. If he continues being the “Go-Go Kid”, he’ll not only win another Player of the Week this year, but will probably be packing his bags for the Big Apple for this years All-Star Game. This entry was posted in Baseball, Milwaukee Brewers, MLB and tagged carlos gomez, Dennis Eckersly, Dominican Duke, Go-Go Kid, Kirk Gibson, Milwaukee Brewers. Bookmark the permalink. Carlos has a great start to the season let’s hope he stays this hot all year long. It’s great to see that kind of energy out of a player every day.